Fish and Chips, Ice Creams and of course Tea & Coffee were readily available. 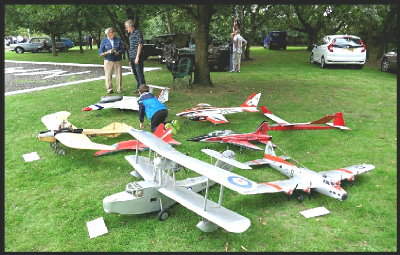 In addition to the many beautiful classic cars there was a wonderful static display of model aircraft. 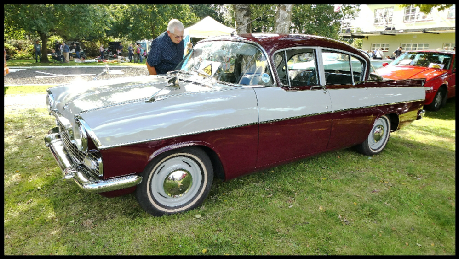 These models are radio controlled and one of models was even powered by a gas turbine engine. They are lovingly built and flown by dedicated enthusiasts. 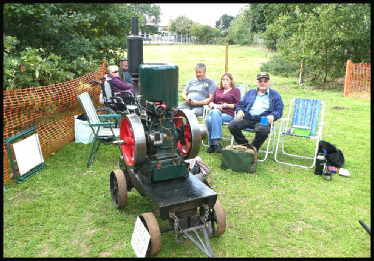 A number of working stationary vintage engines were present. They were used at one time to pump water and generate electricity on farms and outlying houses.